June 8-21, 2019 - Sand, Surf and Salty Air: Featuring Wendy Carney, Antonia Tyz Peeples, Robert Bolster, Jack Sayler, Rick Fleury, Karen Blackwood, and Eric Kaiser. 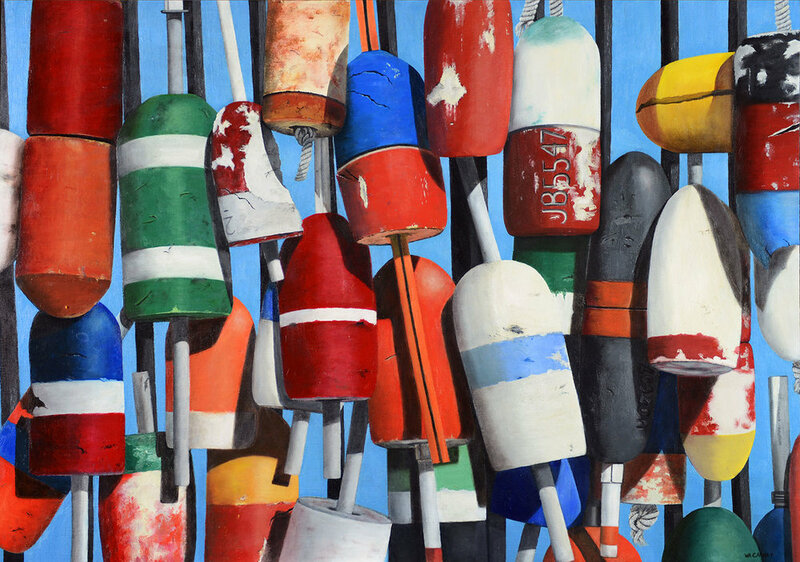 March 2-29, 2019 - Cape Cod Views: Selected Works from Tree’s Place Artists. November 17-December 29, 2018 - Annual Small Works Holiday Show. THE 13TH ANNUAL INTERNATIONAL GUILD OF REALISM EXHIBITION AT THE SUGARMAN PETERSON GALLERY, SANTA FE, NM, OCT 5 - 29, 2018. The Oil Painter's of America 2018 Salon Show at The Crooked Tree Art Center in Traverse City, MI. June 22 - September 1, 2018. NEW Artists exhibition at The Gallery AT Tree's Place, Cape Cod, MA. March 31st - April 27th, 2018. Includes work By Wendy Carney, Antonia TYZ Peeples, Ken Salaz, James Wolford, and HilLary Osborn. Wendy's work is included in the March 2018 edition of American Art Collector Magazine in the Collector's Focus section on leading women artists. Wendy's paintings were awarded First, Second, Third, and Fourth places in the Realism Still Life category of the annual American Art Awards Competition; juried by 25 galleries and museums around the U.S. with entries from artists in 56 countries. Six additional paintings by Wendy were awarded in other categories. Below are the four paintings that won the Realism Still Life category. Three of Wendy's Paintings were named runner-up in the 2017 Southwest Art Magazine Artistic Excellence Competition: "Renovation", "Kaleidoscope Seltzer", and "Hanging Out". Wendy's Painting "North End Flavors" was named a Finalist in The International Arc Salon, Art Renewal Center Competition. Wendy was chosen as the March Artist of the Month. The article features her painting "North End Flavors." Wendy's Painting "North End Flavors" was named a Finalist in The Artist's Magazine 31st Annual Art Competition. © WENDY CARNEY. ALL RIGHTS RESERVED.